I think I know what I may be getting for Father’s Day on Sunday. With three daughters, I have had the benefit of experiencing some really great Father’s Days over the years… They have served me delicious meals with my favorite cold beer. They have given me hand-made, heartwarming cards that always choke me up – I’ve kept every one of them. And of course, they have lavished me with wonderful gifts. My daughters are all young adult ladies now, but daughters are always their daddy’s little girls, and Father’s Days are no different to me now than when they were 10. Margaret and I paddling out after an early morning wood duck shoot on Thanksgiving. Many years ago they gave me a big gift ­­–– a canoe –– that they couldn’t wait to surprise me with. 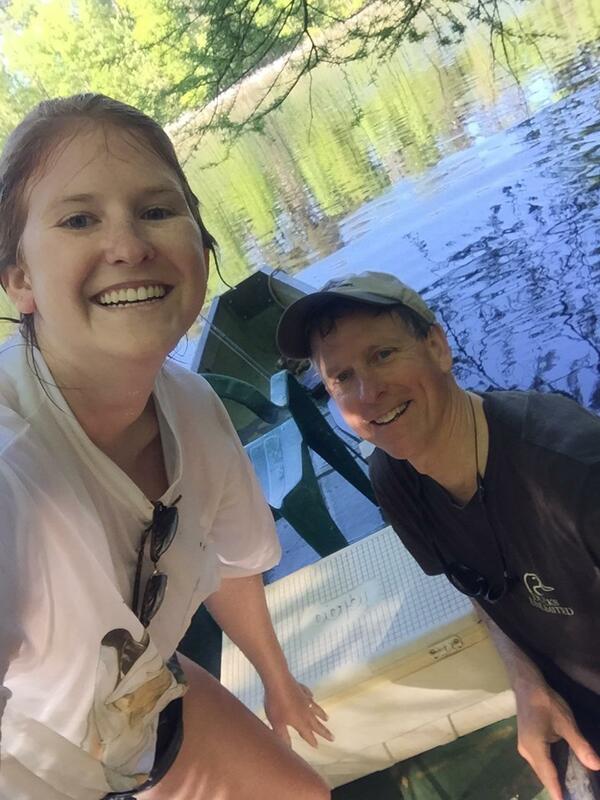 With their mother in the lead (my fourth little girl), they snuck down to Adventure Carolina and picked out a camouflaged, flat-bottom canoe with benches and a square stern for attaching an electric troll motor. Over the years, we have had a lot of fun in that boat. 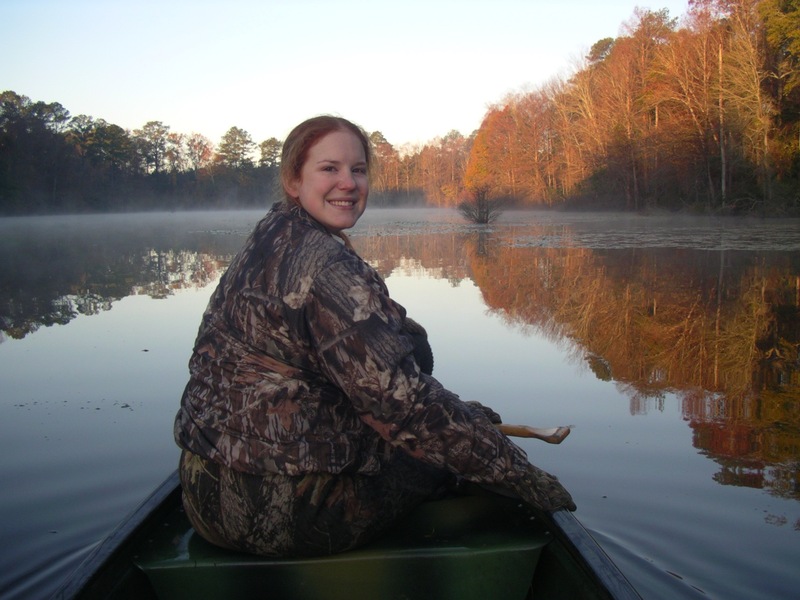 Margaret, my oldest, and I have spent many cold mornings paddling to our duck hunting spot in the back of the pond during the quiet pre-dawn darkness, and then paddling back in the light of morning with a limit of birds. Mary, my middle daughter, went through a period when she loved wearing colorful hats. 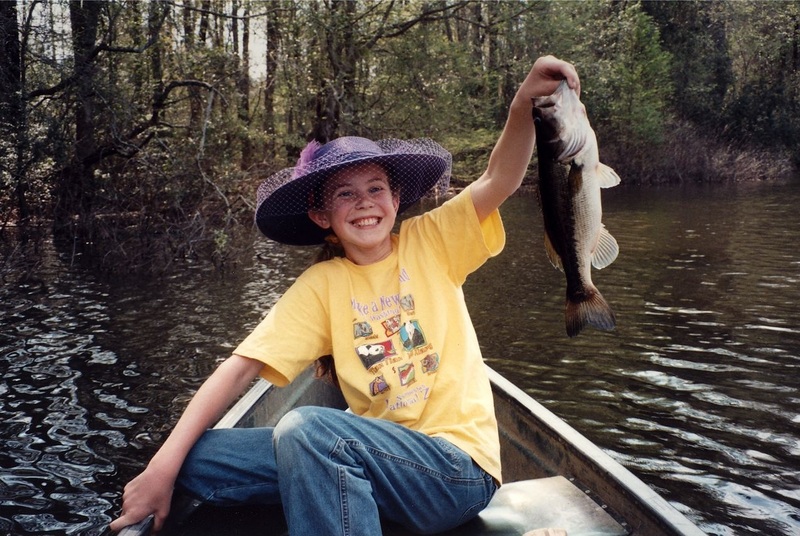 I have a fond memory of fishing with her on a beautiful spring day and watching her catch fish after fish while wearing a rather large purple hat with feathers and things poking out of it. As the wear and tear of time has relentlessly worked on the canoe, the benches have long since broken apart and been removed leaving just the hull with a couple of epoxy patched holes on the bottom. To go on a paddle now, we either have to kneel or bring a cooler to sit on, which also doubles as a live well for the fish. 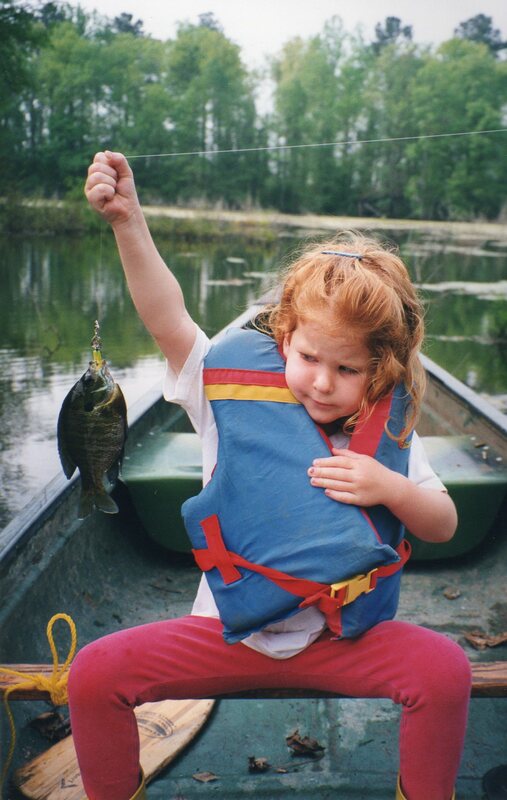 Recently Helen, my youngest, and I decided to go fishing on a cool spring day in mid-April. Sitting on a cooler can get a little uncomfortable at times because there isn’t anything to support my back, so I came up with the bright idea of putting a plastic lawn chair in there. Now even as a history major I realized that this might not be the most stable of alternatives, but that chair looked awfully comfortable. Once we got in and situated and paddled out a little way, everything seemed fairly secure and the chair felt really good. Helen, now 21, and I took an unexpected chilly, spring dip!